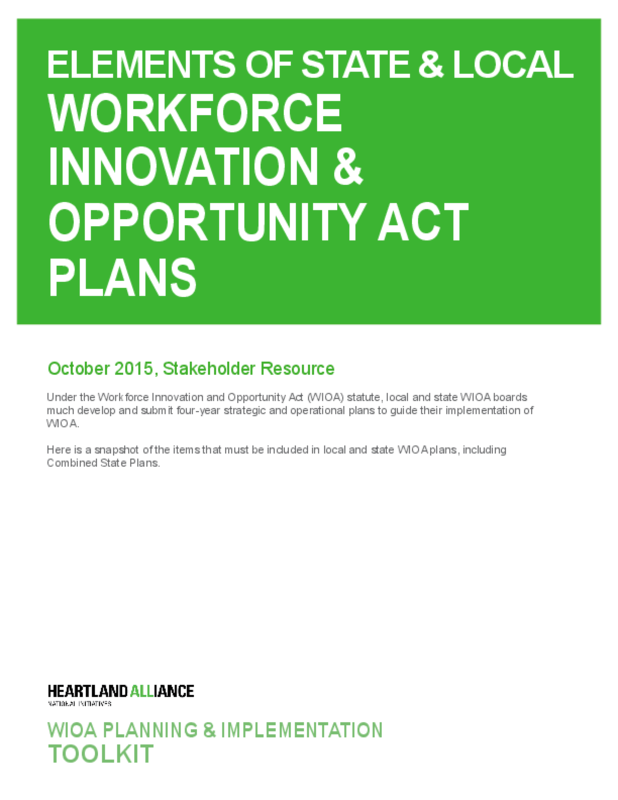 Under the Workforce Innovation and Opportunity Act (WIOA) statute, local and state WIOA boards much develop and submit four-year strategic and operational plans to guide their implementation of WIOA. Here is a snapshot of the items that must be included in local and state WIOA plans, including Combined State Plans. Copyright 2015 Heartland Alliance National Initiatives on Poverty &, Economic Opportunity.